SO YOU THINK YOU LIKE HORSES? Like to putter around the barn morning, noon, and night? Then make your way to this 10,000-acre ranch in the heart of Santa Barbara County, which has been owned by the Jackson family since 1943. There’s plenty to do at the Alisal—two golf courses and an extensive tennis program come to mind—but in my book it’s the string of 100 horses and the almost unlimited acreage for riding that set this place apart. “Next to children, horses are the best cure for disposable income”. Trail-tested wranglers can answer all your questions, teach you how to sort cattle, and lead you through the Santa Ynez Valley. But when it comes to the big-picture ideas, what should you take away from your experience at Alisal? Gary Vorhes has a suggestion or two. The former editor of Western Horseman, Vorhes has had a career that’s been all about horses, on the job and at his own horse farm. “Next to children, horses are the best cure for disposable income,” Vorhes says between laughs. He offers two key suggestions. Vorhes’ second piece of advice? “Buy the right piece of land. Pick a strategic spot. You’ll be raising horses in a gold mine. It changes the whole ball game,” he says. “The one thing we always do is plant things we can use”. WE REALLY STUDY WHAT WE’RE doing. We have a story to tell, and we tell it in everything we do,” says Bill Varney, who owns and runs the renowned herb farm with his wife, Sylvia. The Varneys fast-forwarded their own story in 1991 when they cashed in the house they called home and bought four acres in Fredericksburg, a gem of a town in the Texas Hill Country. Included on the land were a limestone farmhouse that dated back to 1882, a two-bedroom cottage, a small wooden barn, and a couple of sheds. It’s worth noting that the property itself had been abandoned sometime in the 1970s. Wild turkeys and a host of snakes had established themselves as the lords of the realm. Not that any dilapidation is visible today. 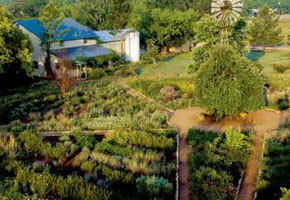 Instead visitors stroll through acres of expansive gardens. They peruse wonderfully scented rooms, buy exquisitely packaged personal care products, dine on herb-crusted delicacies, and indulge in aromatherapy treatments. “It got to the point that business at the day spa picked up so much that we moved out of our house and it became the spa,” Varney says. In addition to their ever-expanding product line, the Varneys have coauthored two books (Along the Garden Path and Herbs: Growing & Using the Plants of Romance) and host an annual spring herb festival. “The one thing we always do is plant things we can use. There’s nothing ornamental about our gardens. Even the pine cones and the seed pods get used as decorations,” Varney says. Clearly this couple knows their business, which is why anyone remotely interested in growing herbs, cultivating flowers, or maybe even setting up an online company that specializes in these products should make reservations at the herb farm’s bed and breakfast. YOU LOVE THE TASTE, THE AROMA, the sound of a cork popping. You’ve studied the various grapes, and you’ve perfected your ordering technique. You might even say wine is your passion. With “do what you love” as your mantra, maybe you’ve decided you could have a vineyard or winery of your very own. 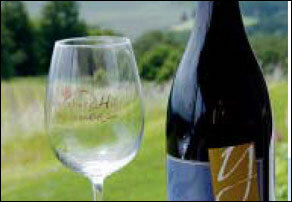 But before you sign that check, schedule a trip to Youngberg Hill Vineyards & Inn in Oregon’s Willamette Valley. For the past two years this bed and breakfast, located on 50 acres outside McMinnville, has been offering half-day and full-day packages that allow guests to spend time in Youngberg Hill’s working vineyard and winery. The folks at Youngberg Hill tailor the packages to fit each guest’s goals. Want to experience harvest? Depending on the time of year and the weather, they can make it happen. Want to see how the winery works? They can show you. You’ll get one-on-one time with a winemaker, a vineyard manager, or the owner—maybe even all three. Other than fostering an appreciation for the land and the creation of fine Pinot Noir, no two vineyard packages are the same. “It’s not a cookie-cutter experience,” says Youngberg Hill owner Nicolette Bailey. Before purchasing the vineyard, Bailey was doing wine distribution in Chicago, so she’s familiar with the city folks who come to the vineyard not knowing what to expect. She used to be one of them. “The process is eye-opening for people,” she says. “I’ve had people who didn’t understand that growing grapes is farming.” Walking the vines, tending grapes, getting muddy—it’s all part of the deal. Besides being nationally renowned for its Pinother Noir, the Willamette Valley is also close to Portland and spans more than 5,000 square miles, making it an ideal venue for getting into the grape game. And Youngberg Hill, with its organic and sustainable farming practices, is dedicated to keeping the area in top shape. 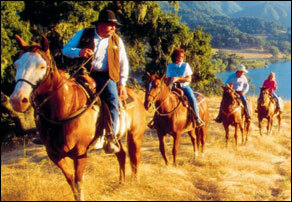 WANT TO WITNESS FIRSTHAND how to run a great guest ranch? This is the place to go. 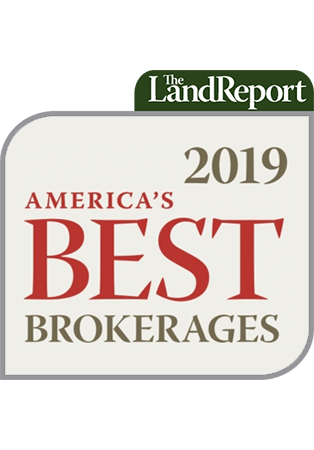 Thirty years ago, Steve and Ann Stranahan fell in love with an amazing piece of property in Northern Colorado: two large aspen-covered meadows bordering the Routt National Forest less than 20 miles from the popular ski town of Steamboat Springs. They closed on the property the following year (1978) and welcomed guests to The Home Ranch in 1980. Fly-fishing, hiking, horseback riding—the list of outdoor activities in the Colorado Rockies is endless, but the kicker is that The Home Ranch is also a member property of Relais & Chateaux. Head chef Clyde Nelson has been featured in Gourmet, Bon Appétit, and Food & Wine.